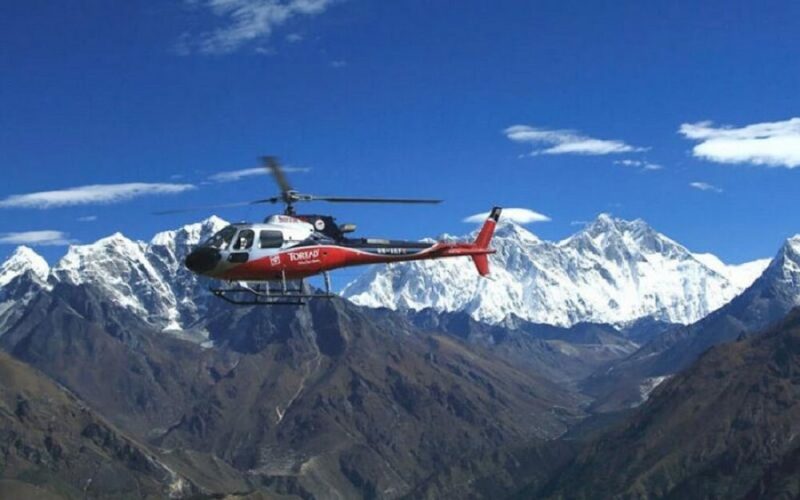 Day Tour of Everest Base Camp in Helicopter is a great way to experience Everest in just one day. 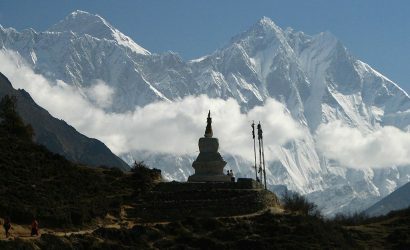 We begin our helicopter tour from Kathmandu and fly towards the east to Lukla which is a beautiful Sherpa village. 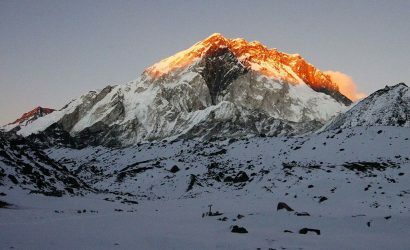 From here we fly over the Everest Base Camp which is one of the most popular trekking destinations in the world. 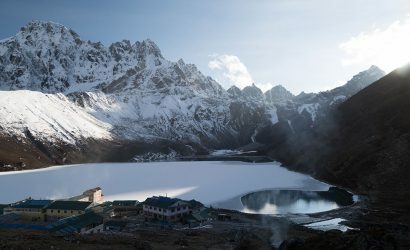 From our helicopter, we also admire Eagle eye views of the Khumbu Glacier which is ideally located between Mt. 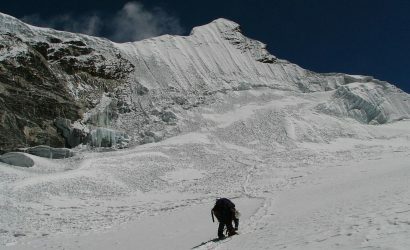 Everest and the Lhotse-Nuptse ridge. 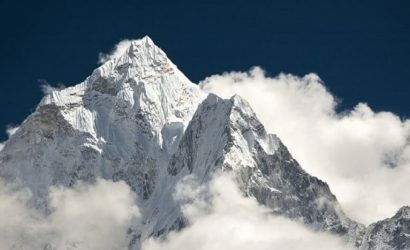 Next, we stop at Kalapathhar for the grandest views of the world’s highest mountain and it’s neighboring Himalayas. Then we fly to Syangboche and spend around twenty minutes at a hotel for breakfast while also admiring the beautiful Himalayan vista. 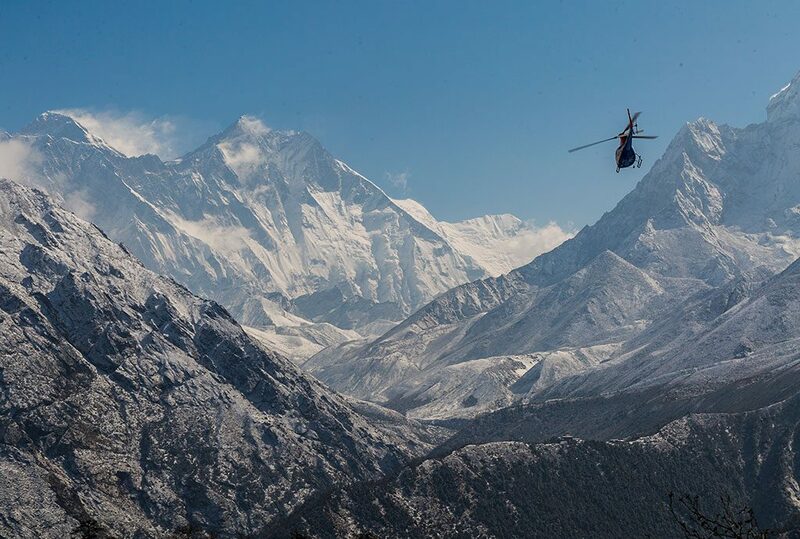 We fly back to Lukla for fueling and return to Kathmandu and end our amazing helicopter day tour of Everest. 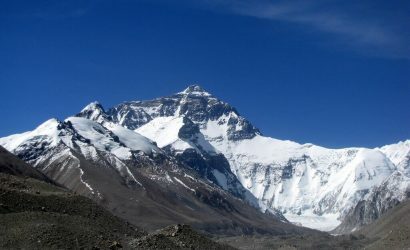 The entire Day Tour of Everest Base Camp in Helicopter gives us a unique opportunity to not just reach the base camp of Everest, the highest mountain on Earth but get the best aerial views of Everest and neighbouring Himalayas on an exclusive helicopter flight. Important Note: Spending only around five minutes in Kalapathhar will prevent us from getting altitude sickness. Our helicopter will be on stand-by at Kalapathhar therefore it is technically impossible to spend more than the allocated time.